Are you tired of expensive shampoos that never live up to their promises? Around the world people have used natural oils to condition hair for generations. Why? because they work. There are hundreds of oils which can be used for hair conditioning all with different benefits. They are safe and gentle and can be combined to create your own custom hair conditioning serum. Scientists have now discovered why regular use of natural oils can help repair damaged hair. Studies revealed that oils are actually absorbed and repair, strengthen and protect your hair from future damage. 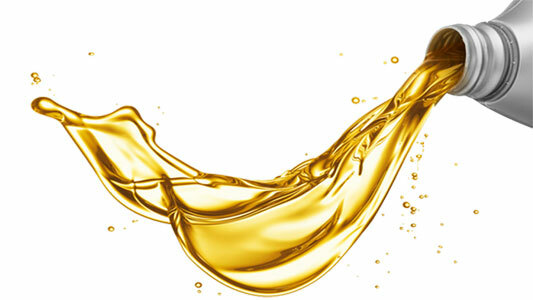 A simply carrier oil – like Argan Oil – can be used pure or blended with other oils. The blend of oils is applied to hair before washing and left on for about half an hour – keeping the hair warm during that time. Finally the hair is washed to remove any excess oil. The cuticle is a chemically resistant collection of overlapping scales called Keratinocytes. Where the Cuticle layers has become thin hair will break more easily. A cuticle cell membrane in cover with a lipid layer that includes 18-methyl eicosanoic acid (18-MEA). It is 18-MEA that keeps healthy hair water repellent. This water repllant property if very important for the health of the hair shaft. Unfortunately it is also easily damaged by modern alkaline chemical cosmetics. It is cell membrane complex (CMC) that binds the cell membranes between two cuticle cells, two cortical cells and cuticle-cortex cells. Damage to the CMC leads to ruptures and eventually fractured hair. Again chemical treatments such as bleaching, dyeing and high temperature styling upset CMC and increase water absorbtion and so hair damage. The cortex makes up the bulk of human hair. The cortex is formed by elongated, cells connected by a cell membrane complex. The cortex cell also contains spindle-shaped fibrous structures called macrofibrils. Macrofibrils are arranged in a spiral formation of alpha-helical proteins in a coil formation. This helical coil is bonded by various chemical forces which keep hair structure healthy. High temperature styling has the effect of breaking the forces that maintain the coil structure which allow it to be stretched. This is found in corser hair and is proposed as the cause of the splitting of hair fibers. Where hair has become unhealthy the main cause is an increase in water absorbency. Some oils can penetrate the hair and reduce the amount of water absorbed in the hair. They fill the gap between cuticle cells and repel harsh chemical into the follicle. By applying a natural oil regularly you can enhance lubrication of the shaft which will help prevent hair breakage. A 2003 study found that out of mineral oil, coconut oil and sunflower oil only coconut oil reduced the protein loss to improve hair. It is proposed that the triglyceride of lauric acid found in coconut oil has a high affinity for hair proteins and so is able to penetrate the hair shaft. Studies also found that oils, such as Argan Oil, contain high levels of Linoleic, Oleic, Palmitic acid, Lauric acid and Myristic acid also made hair easier to comb when wet and reduced split ends. 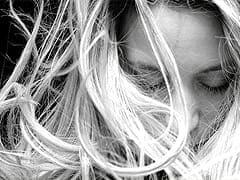 Where hair has been bleached it is also more rapid penetrated by any chemical products and can lead to “scale lifting” damage. 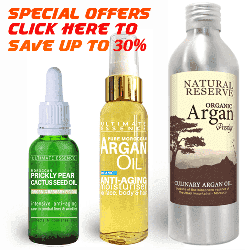 If you have damaged or dry hair then Argan Oil is the best all-in-one treatment to try first. Argan Oil helps with all common problems such as frizzy damaged hair, helps to thicken and leaves hair with a healthy shine. Rich in vitamins A and Vitamin E Argan Oil helps prevent drying and helps sustain the Keratin in you hair. Tip: A fine mist of Argan Oil before using high temperature styling helps protect hair from drying and give a glossier finish. Argan Oil us great but in Morocco it is expensive. The most common alternative is a high quality Extra Virgin Olive Oil. Olive oil also contains a lot of Vitamins E and A which is so good for your hair. Regular use of Olive Oil is also said to help enrich the colour of dark hair. Coconut oil is excellent for helping hair retain moisture, contains lauric and capric acid, which help prevent dandruff, itchy scalp and infections. Jojoba oil is actually a liquid wax extracted from the fruit of the Jojoba plant. It’s composition is very similar to human natural skin oils. This allows it penetrate the skin well. In our Hair Magick serum we use Jojoba oil with Argan Oil for its natural scalp conditioning properties. This helps to prevent dandruff and cleanses the hair root to promote healthy growth. One of my favourite oils. Monoi is included in our Hair Magick Serum for its wonderful scent and the high gloss shine it gives. Monoi oil is also famous for healing damaged hair and reducing frizz. It can be applied as a full hair treatment and used as a fine coating before heat styling to help prevent damage. Monoi restores and smooths keratin scales which is the secret behind the high gloss finish. 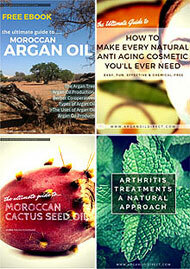 Moroccan Cactus Seed Oil is famous for its anti aging effects on facial lines and wrinkles. Probably too expensive to use as a all over oil treatment. However it ideal for targeting the end tips of hair that are prone to split or break. Apply an all over oil treatment then finish by massaging a little cactus seed oil into fragile hair tips. 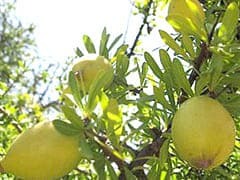 Like Argan Oil Apricot can be used as a carrier oil. Rich in Vitamins E, A,D & as well as essential fatty acids. It is also less fatty than oils like Jojoba making it a good choice if you only want to use one oil. If you want to keep things simple when doing oil treatments for the first time check-out our Hair Magick Serum. This is a serum containing pure Argan Oil blended with Monoi Oils for extra-shine plus Apricot Oils and Jojoba oils for cleansing, smoothing and scalp health.